When you launch WhatsApp on your device, do you end up seeing numbers instead of your contact names? Do you have WhatsApp contacts that do not appear on your WhatsApp? These are some of the issues that a lot of WhatsApp users have been complaining about recently. When you cannot access your contacts or even the contact names on your WhatsApp, communication via the app will be tough and sometimes impossible. But, is it possible to fix this issue? When we decided to look into this issue, we came to the realization that something as simple as refreshing contacts on WhatsApp can help eliminate the contacts' problem. We will be showing you how to refresh WhatsApp contacts on iPhone in this article. 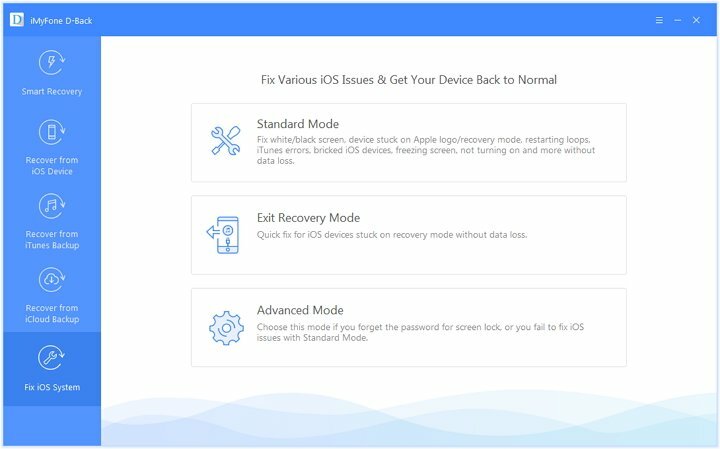 If the refresh does not work for you, don’t worry, we will show you the tool to use to fix any iOS issue you have. This refreshing process is done automatically on new updates as well as occasionally. Step 1: Launch Settings, tap Apps, select WhatsApp from the list. Step 2: Click Permissions and ensure that all the permissions are turned on. Step 1: Launch the App Store on your iPhone. At the bottom, tap Updates. Step 2: On the available list, locate WhatsApp Messenger. Click Update next to the app. Something as simple as restarting your device can fix some of the issues that you may be having. 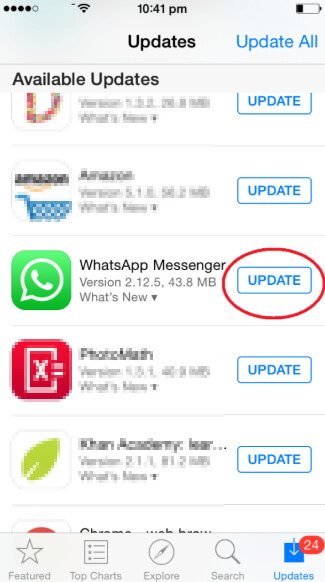 Restarting WhatsApp itself can help you fix its issues. Below we show you how to restart both the iPhone and WhatsApp. 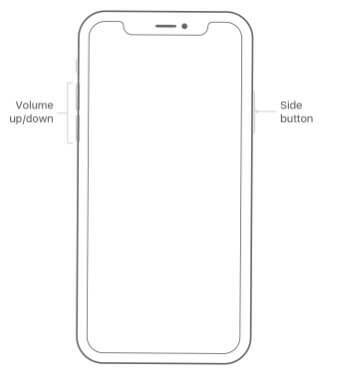 Step 1: Press and then keep holding both the Side button and either the Volume Up or Down buttons. Wait for a slider to appear. Step 2: Drag the slider to turn the iPhone off. When the device is off, press and hold the Side button until an Apple logo appears. 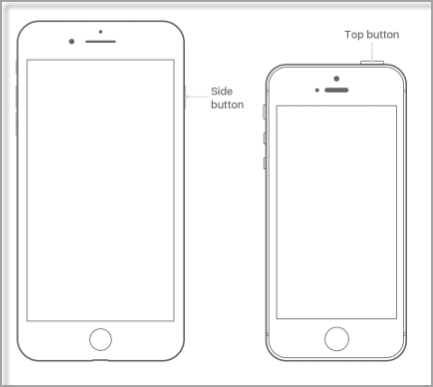 Step 1: Press and hold the Side (or Top) button until a slider appears. Drag the slider to turn the device off. Step 2: Press and hold the Side (or Top) button until an Apple logo appears. Step 1: Double-click the Home button. This will bring up the apps you have used most recently. 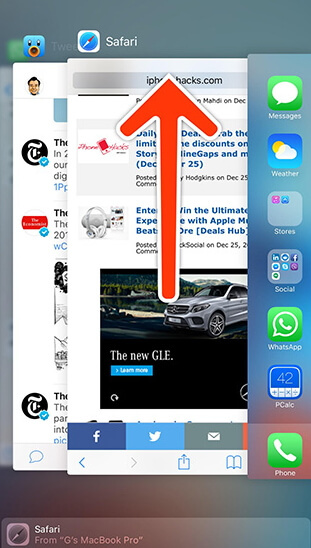 Step 2: Navigate the applications on the screen to locate WhatsApp. Swipe up on the WhatsApp preview to close it. Press the Home button and open WhatsApp again. Step 1: Tap Settings on your Home screen. Click Wi-Fi. Toggle it on. Step 2: Select a Wi-Fi network under the Choose a Network. 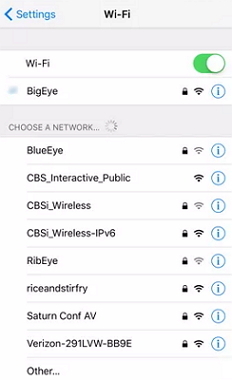 Click on the Wi-Fi network you would like to connect to. Enter the password and then tap Join. Step 1: Launch D-Back on your computer and tap Fix iOS system. Connect your device to the computer using a USB cable. Select the Standard Mode. 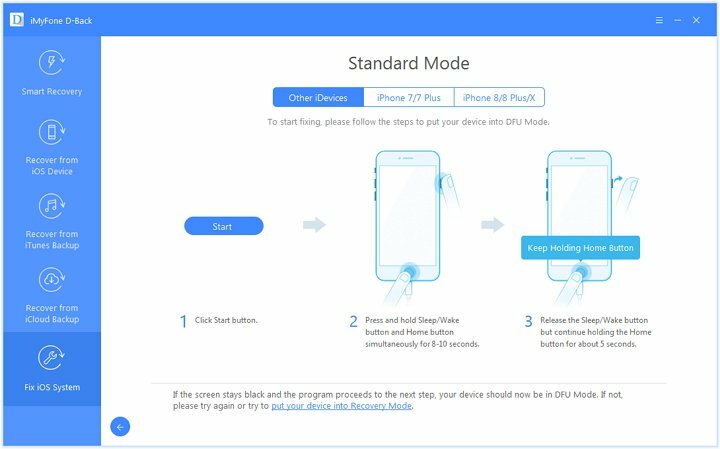 Step 2: Put your device into either the DFU or Recovery Mode by using the onscreen instructions. Step 3: On the next screen, make sure that the detected device is the correct one. If it is not, select the correct one and then click download to initiate downloading of the device firmware. After the download is finished, click Start to Fix. D-Back will verify the firmware and fix all your iOS issues. Before you start to fix any iOS issue, it is always advisable that you back up your iPhone. If your data gets lost during the fixing process, you can easily restore it from your backup. You can use both iTunes and iCloud to back up your iPhone. However, if you are looking for a more flexible option, you can use iMyFone iTransor. It allows you to back up your device fully or partially. 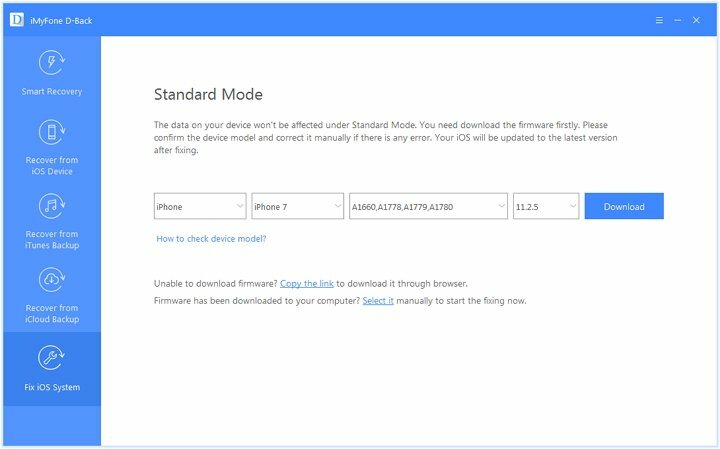 While restoring your backup data, the current iPhone data will not be overwritten. The tool can restore your data partially which means that you can restore WhatsApp only. 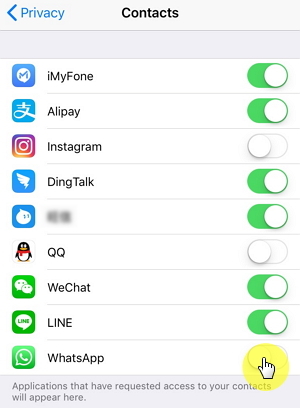 This article shows you how to refresh WhatsApp contacts on iPhone. If it is impossible to refresh the contacts, just try using the solutions outlined above. Please feel free to leave your comment below.